Science Matters. 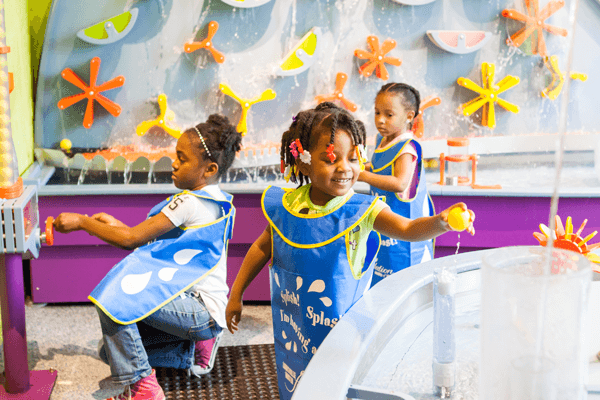 Kentucky Science Center provides opportunities for all ages to Do Science through hands-on, interactive exploration. Play, tinker, test, try again, communicate, and collaborate – our aim is to inspire with science and encourage a lifetime of learning. Support from generous individuals, like you, helps make this possible. Unrestricted donations to Kentucky Science Center’s Annual Fund for Science help support ongoing costs, like exhibit updates and noon science demos in the atrium, and brand-new ventures that “Do Science” statewide. To learn more about these and other ways to give, or to ask questions, contact the External Affairs Department at 502-560-7150. Are you interested in Corporate Giving? There are opportunities for you to align your organization’s philanthropic values with the Science Center’s mission. Consider contributing financially through a Sponsorship and engaging with our visitors first-hand with a Partnership. Unrestricted donations to Kentucky Science Center’s Annual Fund for Science help support ongoing costs, like exhibit updates and noon science demos in the atrium, and brand-new ventures that ‘Do Science’ statewide.